It’s time to sell your home and you, like most home sellers, hope to walk away with a little extra cash in your pocket. And you probably already know what you’ll do with it. You’ll use it for your down payment on another house, pay off debt, put it toward a kiddo's college fund, or send it straight to investments for retirement. Before you get ahead of yourself, have you stopped to think about the taxes you might owe on the profit you see? Even though it’s not earned income, the IRS calls the money you make in a home sale capital gain, and requires you to let them in on the fun. However, if you meet the eligibility requirements, you may get a tax break. 1. Know what capital gain is. Capital gain is a profit from the sale of property or of an investment. Capital gain tax is a tax on the profit you make from the sale of property or investment. And capital gain tax exclusion is a tax break on the profit you make from the sale. Single homeowners can exclude up to $250,000, while married couples filing jointly can exclude up to $500,000. Who doesn’t love a good tax break? 2. Learn the eligibility requirements. Assuming you pass the initial disqualifications, you need to review the additional IRS Form 523 requirements for eligibility of exclusion. Ownership: You must have owned the home for the last two out of five years prior to the closing date of the home sale. If you’re married and filing jointly, only one of you has to meet this requirement. Residence: You owned the home and used it as your primary residence for the last two out of five years prior to the home sale—both spouses must meet this requirement if you’re filing jointly. If you were ever away from home, you need to determine whether that time counts towards your residence requirement. A vacation or other short absence counts as time you lived at home (even if you rented out your home while you were gone). This may make you wonder if your two deployments or PCS move last year disqualifies you from a tax exclusion—but we’ll get to that in just a minute. Look-back: You’re only eligible to take the exclusion once in a two-year period. So, in order to meet the look-back requirement, you or your spouse can’t have claimed the exclusion on a prior home sale within the past two years. That’s all pretty clear, right? 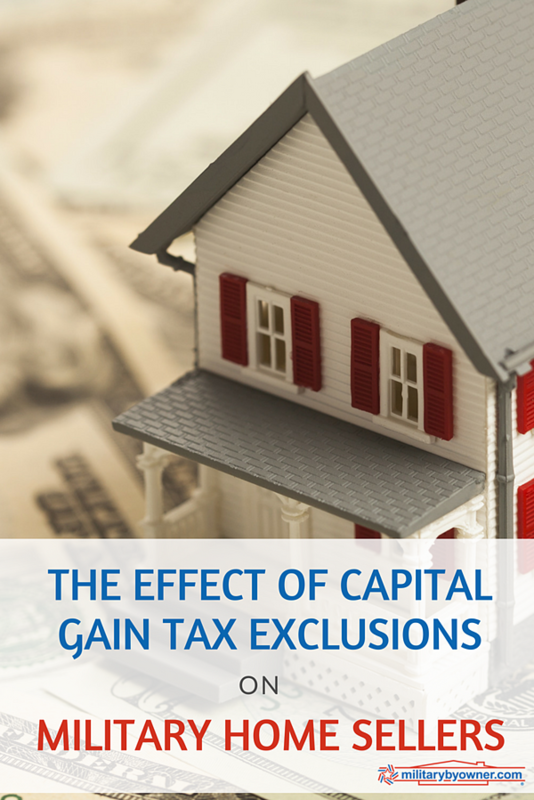 Now let’s take a look at how PCS moves and deployments affect a capital gain tax exclusion. 3. Understand the IRS on extended duty exemption. Thankfully, the IRS created the on extended duty exemption for service members. They allow you to suspend the five-year test period for ownership and residence when you’re on "qualified extended duty." This means that, even if you don’t meet the residency requirement above because you moved last year or served on an overseas deployment for eight months, you can still qualify for a capital gain tax exclusion. You were called or ordered to active duty for an indefinite period, or for a definite period of more than 90 days. You were serving at a duty station at least 50 miles from your main home or you were living in government quarters under government orders. A member of the armed forces (Army, Navy, Air Force, Marine Corps, Coast Guard). A member of the commissioned corps of the National Oceanic and Atmospheric Administration (NOAA) or the Public Health Service. A Foreign Service chief of mission, ambassador-at-large, or officer. A member of the Senior Foreign Service or the Foreign Service personnel. An employee, enrolled volunteer, or enrolled volunteer leader of the Peace Corps serving outside the United States. An employee of the intelligence community. All that said, the period of suspension can’t be longer than 10 years. Together, the ten-year suspension and five-year test period can be as long as 15 years, which makes it easier for you to meet the eligibility requirements for the capital gain tax exclusions. If you don’t qualify for a full exclusion even with the exemption, you could still qualify for a partial exclusion--which can be found on Form 523. For more information about capital gain and what taxes you may or may not be required to pay, you should connect with a tax professional. They can pay special attention to your personal finances and make sure that you’re compliant with the IRS. Looking for another way to save on your home sale? 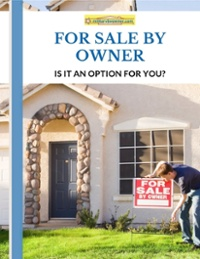 Download MilitaryByOwner’s free ebook, For Sale By Owner: Is It an Option For You?